When pantry shelves are in disarray, those quick snack breaks turn into rescue missions for the things you just can't find. 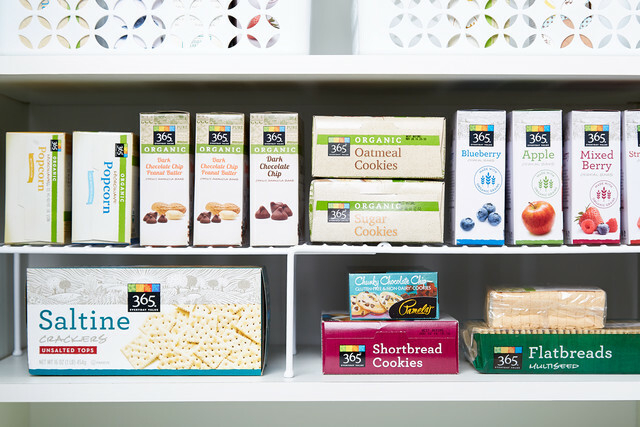 That's where we come in to help, because an organized pantry shelf is a staple of an organized life, too. 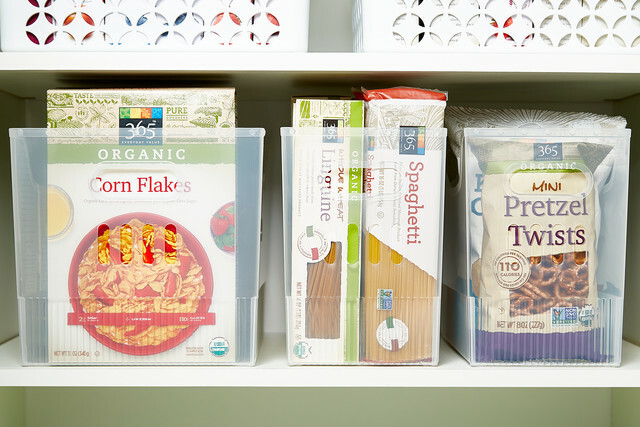 And we've made it even easier to create pantry shelf perfection, at any budget! 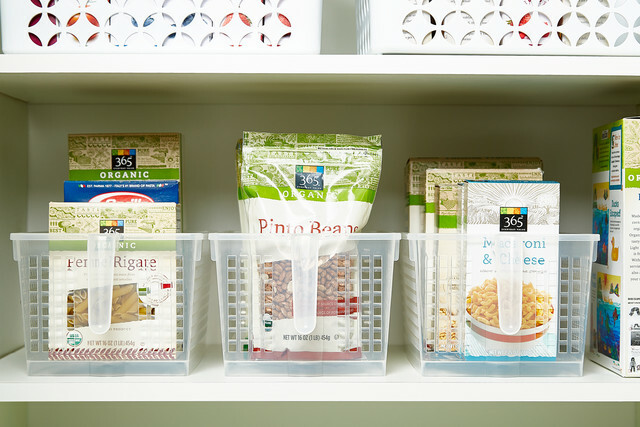 Check out our six options to whip any of your pantry shelves into shape. Our Large Expanding Shelf is one of best ways to maximize the space on virtually any shelf! It's adjustable from 16-3/8" to 32-1/2", allowing you to use it on just about any length of shelf, and the two sections can be used at right angles to each other to create a corner shelf in larger cabinets - plus, at a $7.49 price tag, the entire solution is under $8.00! 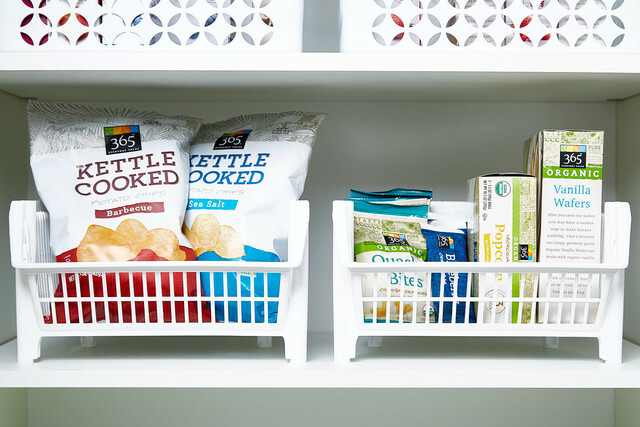 Consider the simple basket when you divide and conquer pantry organization. 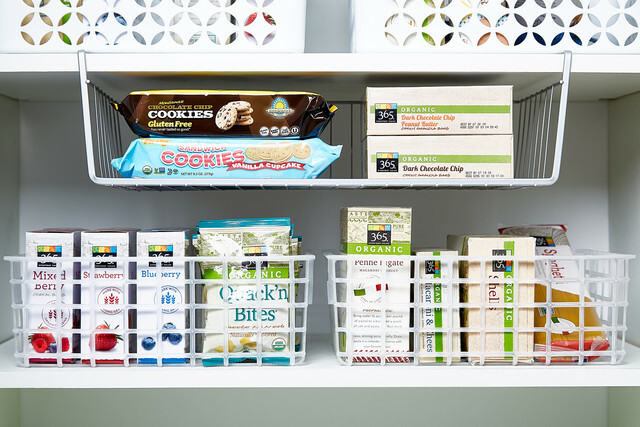 Our Mini Stacking Baskets are simple and straightforward to help you organize by type of food or even by family member. Best of all? The entire solution comes in at under $8.00! 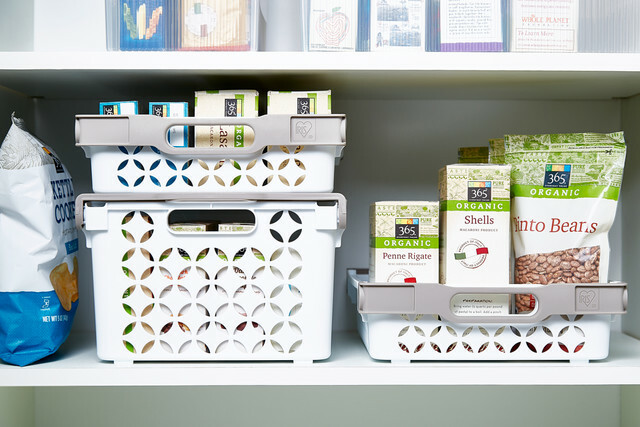 We hope you love our ideas to create pantry perfection. If you have any ideas for us, share it with us below!